1 Flaxseed And Thyroid Dysfunction: Good Or Bad? Flaxseed And Thyroid Dysfunction: Good Or Bad? The Thyroid is a gland that is located in the neck of the human body. It forms part of the endocrine system, which is responsible for the secretion of different hormones. The Thyroid gland absorbs a mineral known as iodine – the cells that make up this gland are the only cells in the human body that is able to utilize iodine. Once absorbed, the Thyroid gland uses the iodine to produce two hormones that are essential to metabolism – thyroxine, and triiodothyronine. These hormones are often also called T3 and T4. Sometimes, the Thyroid gland becomes dysfunctional – causing the gland to either produce too much or too little amounts of Thyroid hormones. The most common Thyroid disorder is known as Hypothyroidism, which affects as much as 10% of the global human population1. 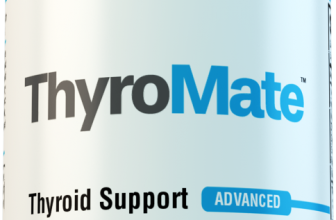 Once a patient has been diagnosed with hypothyroidism, the recommended step to follow the diagnosis is treatment with appropriate synthetic thyroid medicine. These medicines include an active synthetic ingredient known as levothyroxine2. This ingredient is similar in chemical structure as thyroxine, the less active type of Thyroid hormone. The body will then convert the thyroxine to triiodothyronine, which is a more potent version of Thyroid hormone. Popular brand names for levothyroxine medications include Synthroid and Levothroid. Many patients who have prescribed a medication that contains levothyroxine finds that it takes some time before they reach the right dosage of the medication. The first dosage that is prescribed to the patient is usually not perfect, and some adjustments are often needed to ensure the medication can help to restore an optimal level of thyroxine hormones without causing side-effects. Patients will usually need to undergo blood tests approximately three months after they start taking levothyroxine medication. This will give the physician an idea of how well the medication is using for the patient and if any adjustments may be needed. In some cases, the dosage of levothyroxine a patient was prescribed may be too much based on their current level of thyroid hormones that are present in their body. When the dosage is too strong, then the level of thyroid hormones in the patient’s body may become elevated. Flaxseed is also known as linseed. These seeds have become a particularly interesting topic recently due to the many health benefits that have been associated with their consumption. The seeds are very low in both sodium in cholesterol, which means they do not pose a particular threat to cardiovascular health. At the same time, these seeds are incredibly high in healthy fats and also contains a relatively high dose of protein. Flaxseed is broken down into 22% carbohydrates, 12% protein and 66% fats. A 168-gram serving of whole flaxseeds contains around 30.7 grams of protein4. The fatty content in flaxseed is made up of saturated fat, monounsaturated fat, and polyunsaturated fat. The majority of the fat content of flaxseed is polyunsaturated fat, which is often considered to be the healthiest type of fat that a person can consume. These seeds also contain an incredibly high level of omega-3 fatty acids, as well as some omega-6 fatty acids. Due to the dense nutritional profile that flaxseeds offer, the seeds have been associated with much positive health effects5. The high-fiber content of these seeds, combined with the low carbohydrate count, makes it an ideal way to increase a person’s fiber intake. In turn, this helps to improve the function of the digestive system and also helps with the regulation of a person’s appetite. The high levels of omega-3 fatty acids help to regulate blood pressure levels, while also reducing the risk of cardiovascular disease, as well as Alzheimer’s disease. Omega-3 fatty acids are also known to act as a natural anti-inflammatory agent in the human body, which may be beneficial not only for reducing low-grade chronic inflammation but also for inflammatory conditions such as rheumatoid arthritis and inflammatory bowel disease. Women may also find that the regular consumption of flaxseed can help to reduce the symptoms they experience during menopause. The antioxidants that are found in flaxseeds, which come from the lignans found in these seeds, are also powerful against free radical damage. This can help to reduce the rate of aging, assist with improving the regeneration of cells in the body, and may also be beneficial for restoring a better overall balance of hormones. Due to the numerous health benefits of flaxseeds, as well as the high level of beneficial nutrients and antioxidants found in these seeds, many people have taken an interest in learning whether these seeds may be useful in improving Thyroid function. Unfortunately, the opinions are not specific to either a positive or negative reaction, but rather heavily mixed. While numerous publications have reported that flaxseeds may be a useful option for improving conditions like Hypothyroidism, there are also some medical experts that believe these seeds may not be the best option for people with this particular Thyroid disorder. The linolenic acid found in flaxseed is usually the main area of interest when it comes to considering the effects of these seeds on Hypothyroidism6. These fatty acids are known to produce anti-inflammatory effects throughout the entire human body – including the Thyroid gland. Additionally, they are also known to be useful in the regulation of a normal hormonal balance. These two effects may already help to improve the overall function of the Thyroid gland. In addition to the linolenic acid present in these seeds, it should also be noted that the seeds contain two additional nutrients that are important in regulating the function of the Thyroid gland – these include both vitamin B6 and magnesium. Even though the nutritional profile of flaxseeds may be useful for improving the function of the Thyroid, it is important to consider that there is also one particular concerning the fact that need to be taken into account. Flaxseed is considered to be a goitrogen. Goitrogens contain a phytate salt, which is known to collect minerals. In plant-form, the phytate, known as phytic acid, assists with the extraction of several minerals from the soil that the plant is growing in. The phytic acid is particularly strong to ensure the plant can obtain adequate levels of minerals from the soil, even when there are little minerals present in the soil. In the human body, however, this can have a negative effect. In particular, the phytic acid that is present in flaxseed can cause levels of certain minerals to decline. These minerals often include zinc, selenium and, unfortunately, iodine. When levels of these minerals become low, the phytic acid causes an interruption in the normal function of the Thyroid gland. Iodine is a mineral that can only be absorbed and used by the Thyroid gland’s cells. The production of Thyroid hormones relies on iodine. Magnesium and some other minerals are also depended on by the Thyroid when thyroxine and triiodothyronine hormones are being produced. This is why many people are rather looking at the negative aspects that should be associated with the use of flaxseeds among people with Hypothyroidism. When levels of iodine and magnesium decline, it may further implicate the Thyroid’s ability to continue producing hormones. In turn, this may ultimately lead to the need for a higher dose of levothyroxine medication. Flaxseeds have both positive and negative effects to consider when it comes to taking them with Hypothyroidism. Fortunately, there is a way to benefit from these seeds without suffering the negative side-effects possibly. 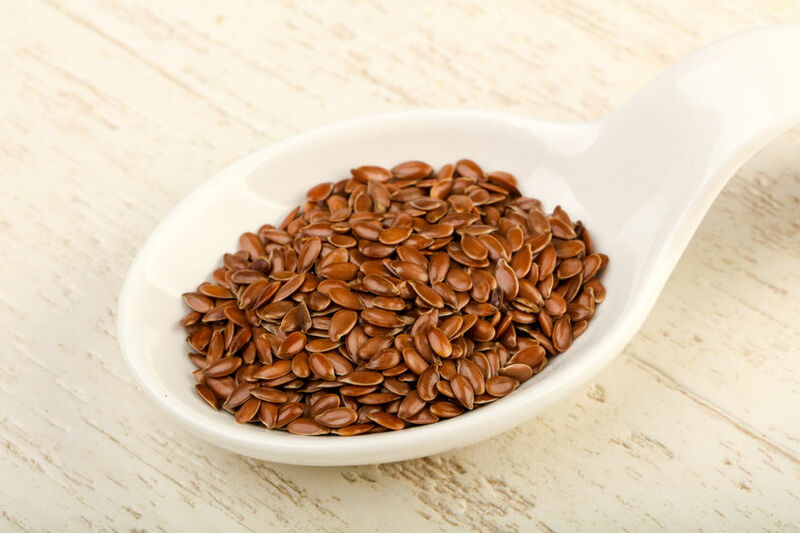 Since the phytic acid contents of flaxseed are known to absorb minerals in the gastrointestinal tract, the solution here is to avoid consuming foods that contain minerals like iodine and magnesium together with these seeds. By ensuring an adequate supply of these particular minerals, a person can help to avoid running low on the minerals. In turn, this would ensure the Thyroid gland has access to iodine to produce hormones. Magnesium levels will also be at an adequate level to ensure proper Thyroid function. In addition to ensuring high-mineral food options are not consumed with flaxseed, it is also often recommended to rely on supplements when consuming these seeds when the person has been diagnosed with Hypothyroidism. The majority of publications that provide information regarding the nutritional profile of flaxseed would offer such information on approximately one cup of the seeds. This, however, can be far too much to consume. These seeds are extremely high in omega-3 fatty acids, as well as many other minerals and compounds. For this reason, it is important to consume flaxseed products in moderation. It is usually recommended to consume approximately a single tablespoon of the oil. When opting for the grounded version of flaxseed, then around two tablespoons per day would be appropriate. The hormones secreted by the Thyroid gland plays several critical functions in the human body. Hypothyroidism and other Thyroid disorders can disrupt the normal function of this gland and lead to a number of problems in the human body. While common conventional treatments are effective, people are often looking at ways they can improve their Thyroid function with the use of natural substances. Flaxseed has become a particularly popular natural compound in improving Thyroid function due to the high fatty acid content. While the seed is considered a beneficial option, the seed may also act as a goitrogen, leading to Thyroid dysfunction. Moderate consumption of flaxseed products, along with other appropriate approaches, may yield beneficial effects. 5 Breese McCoy, S.J., Coincidence of remission of postpartum Graves’ disease and use of omega-3 fatty acid supplements. Thyroid Research, 2011; 4: 16, doi: 10.1186/1756-6614-4-16. 6 Paschos, G.K., et al., Dietary supplementation with flaxseed oil lowers blood pressure in dyslipidemic patients. European Journal of Clinical Nutrition, 2007; 61, 1201-2106.